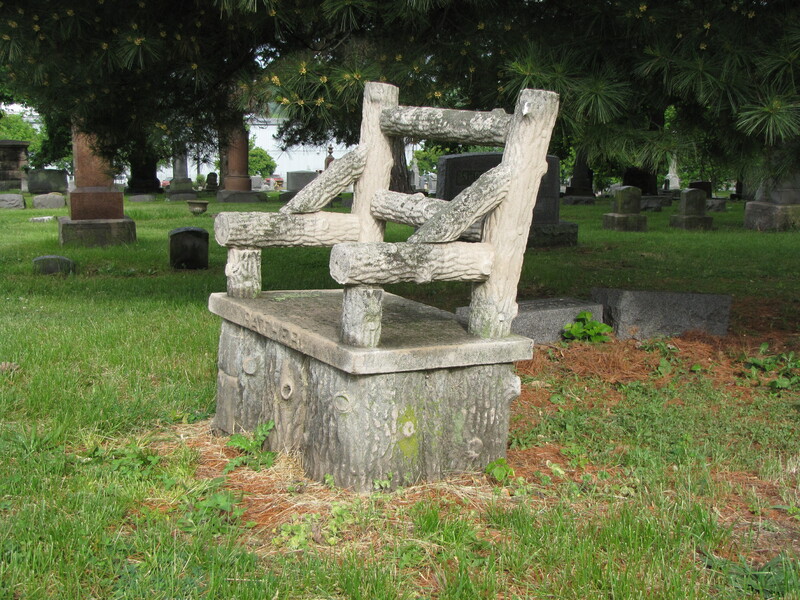 Here the tree-stump tombstone in the Greenbush Cemetery at Lafayette, Indiana, is carved into the form of an empty chair. The chair back and the arms of the chair are carved to look like the chair is formed out of tree branches with the several logs cut logs on end forming the base of the chair. In funerary symbolism the vacant chair symbolizes the loss of a loved one. how did you come to the understanding these are limestone? I have read several books and articles on tree-stump gravestones. Also, many of the tree-stump gravestones I have written about were quaried and carved in Indiana home of the best limestone in the country. Of course, not all tree-stump gravestones are limestone. I have seen some that are made of different material but I would say that most are limestone. 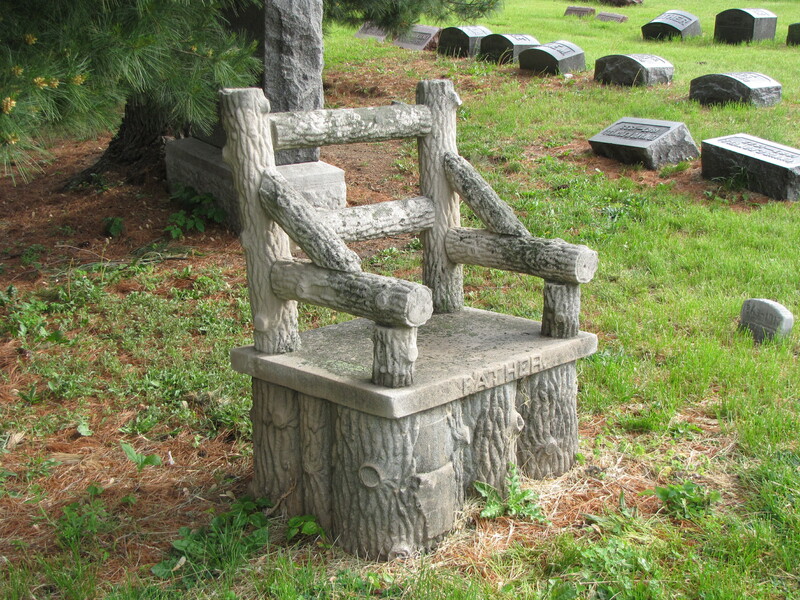 Does anyone know where a tree-stump/log chair tombstone can be purchased?